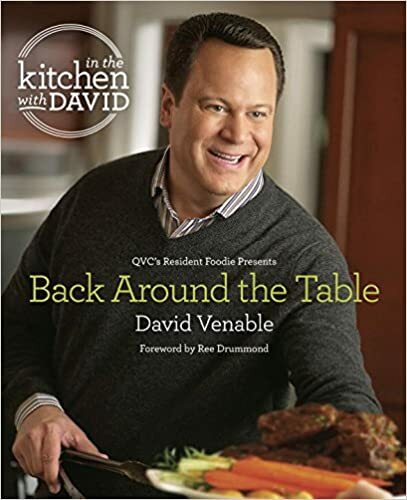 With his first cookbook, In the Kitchen with David: QVC’s Resident Foodie Presents Comfort Foods That Take You Home, David Venable gave us the mouthwatering and memorable recipes that were passed down to him from his mother and grandmothers. Now, the beloved television host invites us back to the warmest room in the house to share inventive spins on traditional dishes that are sure crowd-pleasers. Venable has received great praise from the food world for his easy, comforting cooking style, and that laid-back feeling pervades his second cookbook. Packed with nearly 150 recipes, this volume is like having a collection of “mini” cookbooks in one convenient place. Mix and Mingle: Transform comfort foods into party fare with Mac ’n’ Cheese Bites, French Onion Soup Dumplings, Chicken Cheesesteak Egg Rolls, and Beef and Bean Tostados. Quick and Easy: Use that pressure cooker you’ve got stashed away in the cupboard to make Chili con Carne, Osso Buco, Asian Pulled Pork, and Chicken in a Pot. Light and Bright: Savor Skinny Fried Chicken, Seven-Layer Taco Salads, and Linguine Carbonara—dishes that not only taste good but are guilt-free. Complete with tantalizing photographs, helpful sidebars, and amusing anecdotes, this all-purpose cookbook will have your family coming back to the table again and again for more great food and great times.